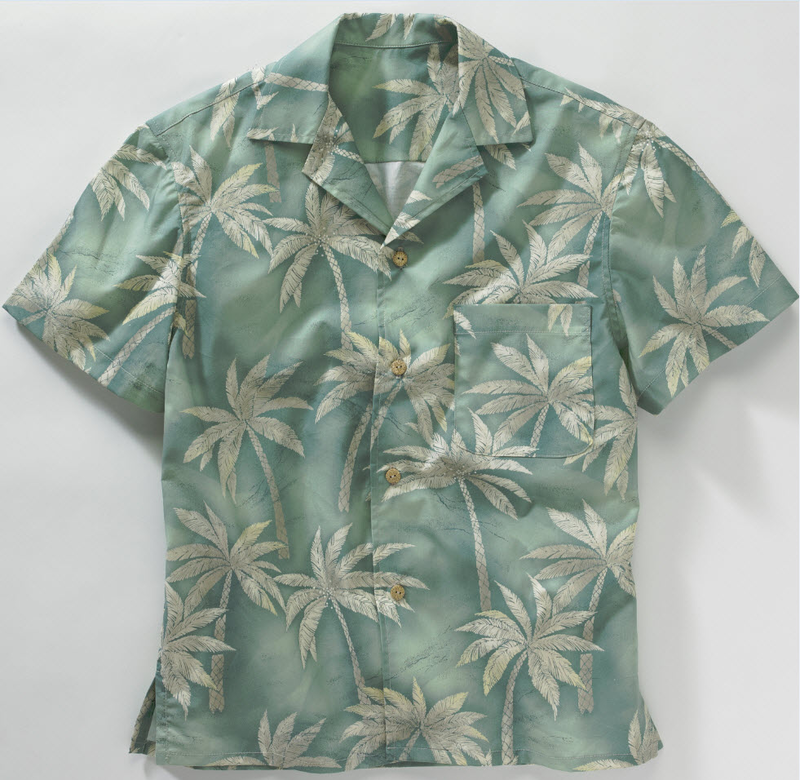 Ideal for tropical themed restaurants or just to add a little flair to your summer uniform, this unisex camp shirt is easy wear and care! It is a colorful and comfortable choice! 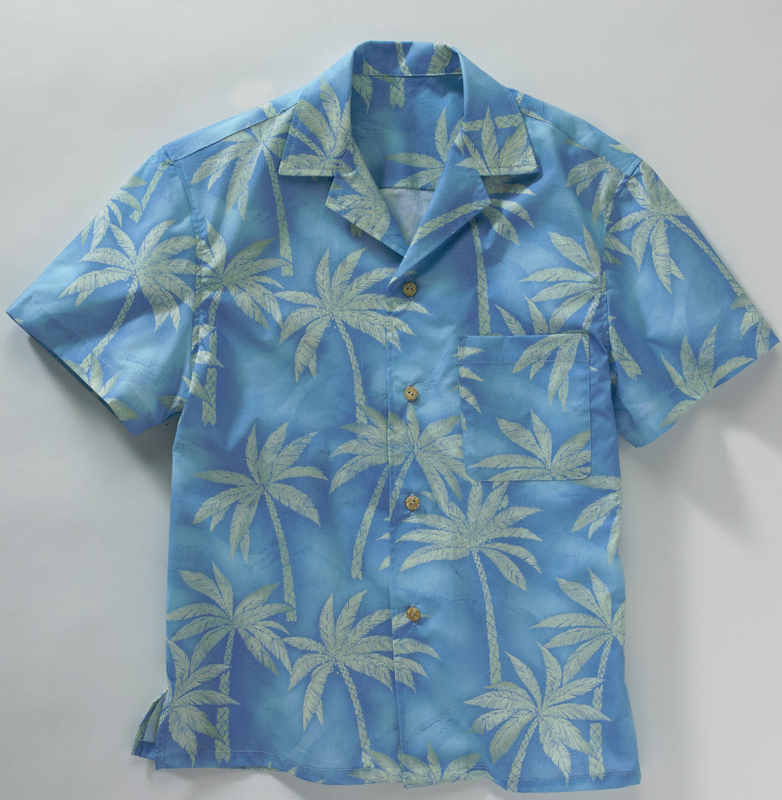 Ideal for tropically themed restaurants, these camp shirts are easy wear and care. 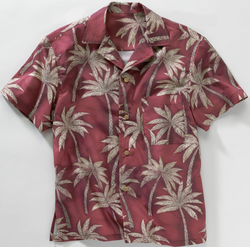 Available in blue, burgundy and sage, our Restaurant Palm Camp Shirt provides an elegant drape and smooth fabric thanks to the comfortable polyester/cotton blend. 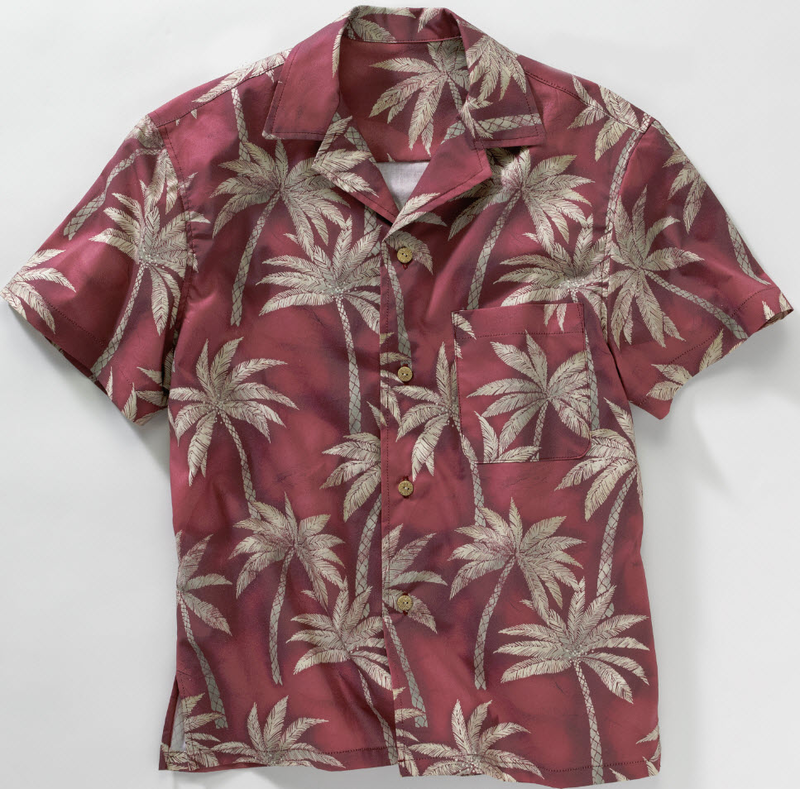 Perfect for a restaurant mens uniform shirt, this item features a traditional camp collar and a straight hem with side vents to keep staff cool. Our restaurant uniforms are available in sizes XXS to 6XL and may be customized with embroidery to fit your specific needs.